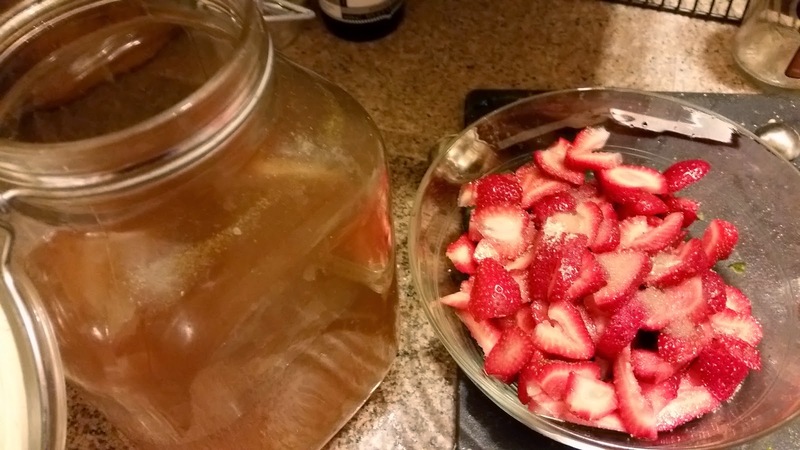 Last weekend I got my first good strawberries of the season, and I've been dreaming of recipes for them ever since. 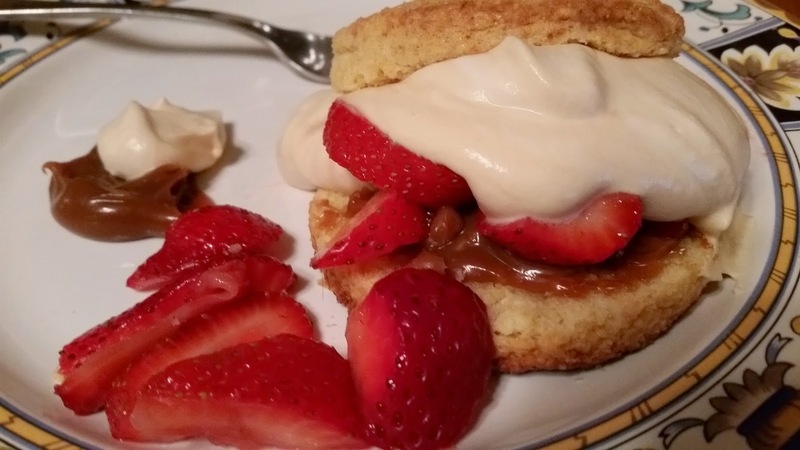 Dominating my thoughts were memories of Bisquick biscuit shortcake from childhood, served with whipped cream at my dad's or cold milk at my mom's in the style of her Pennsylvania Dutch mother's family. I decided to add some Dulce de Leche just to make it even more special. It's still a bit early here for the really fragrant, sweet, soft strawberries, but I've worked out this recipe so I'll be ready for them! No Bisquick here, though you could certainly use it if you like. 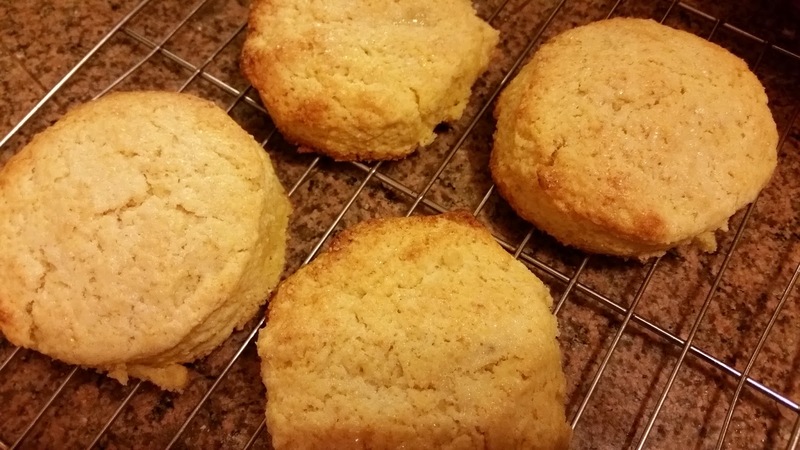 The addition of cornmeal makes them reminiscent of shortbread as well as shortcake, but you can swap that out for more flour if you don't like the texture. Rinse well one pound of strawberries. Remove the stem and hull with a paring knife. You don't need to cut out all the white, just the tougher part. 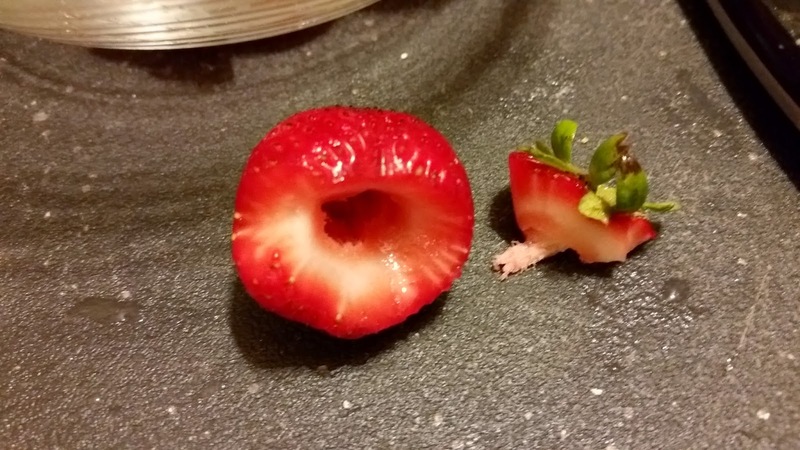 Slice the berries, removing any bruised, moldy or generally yucky bits. Set them aside in the fridge or at room temp for 1 hour. 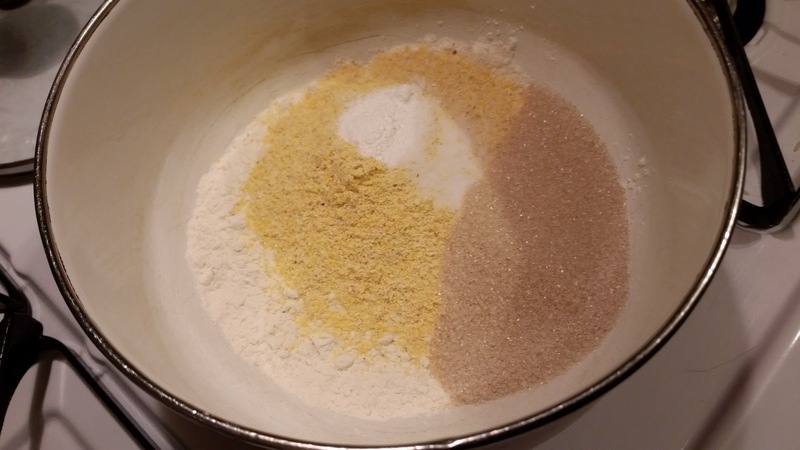 Mix 1 1/4 c all purpose flour, 1/2 c cornmeal, 1 Tbsp baking powder, 1/2 tsp salt, 1/4 c raw sugar (regular sugar is also fine) in a medium bowl. Stir with a whisk or a spoon to combine. 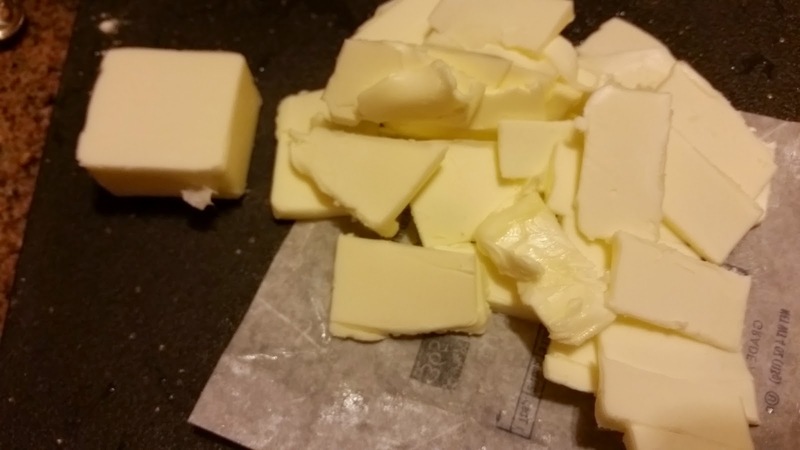 Cut 6 Tbsp unsalted butter (3/4 stick) into fine slices or tiny cubes. Make sure it's cold! If it's not, stick it back in the fridge for a bit. Mix into the flour mixture with your fingers or a pastry cutter until the flour looks a bit damp. It's OK if there are some small pieces left. 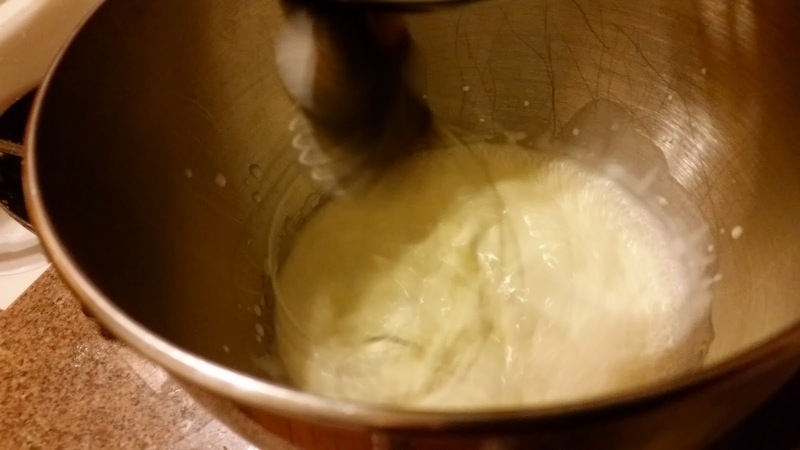 Beat 1 egg lightly and stir into 2/3 cup heavy cream. Stir cream mixture into flour mixture until just combined and dough just comes together. Turn dough out onto a floured board or counter, gently knead once or twice, and pat into a 1/2 in thick rectangle. 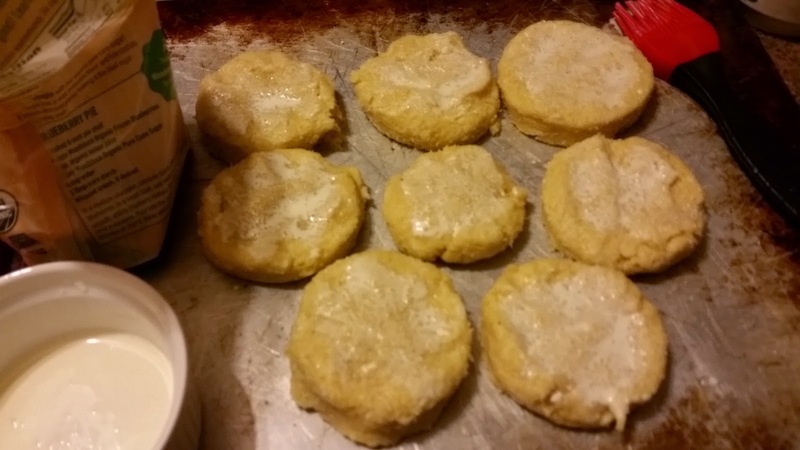 Brush the tops of the biscuits/shortcakes with about 2 more Tbsp cream and sprinkle with sugar. Bake at 450 for 15-18 minutes, until they're browning on the edges and cracking on top. Remove and cool on a wire rack. 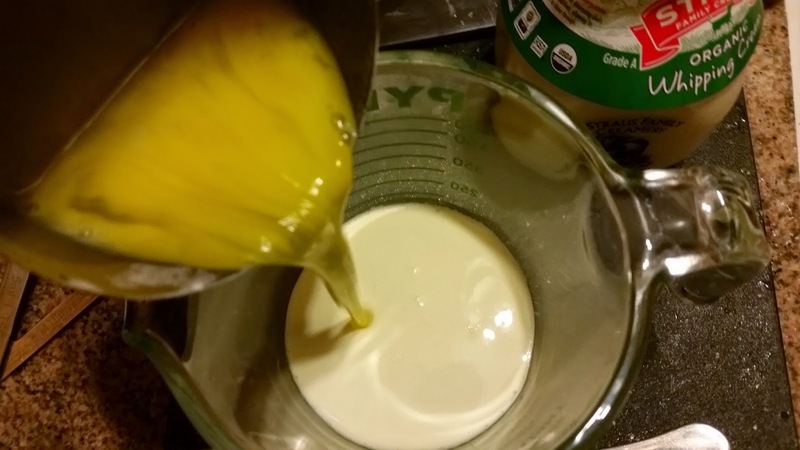 Pour the rest of the pint container of cream into a bowl with 1 Tbsp sugar. 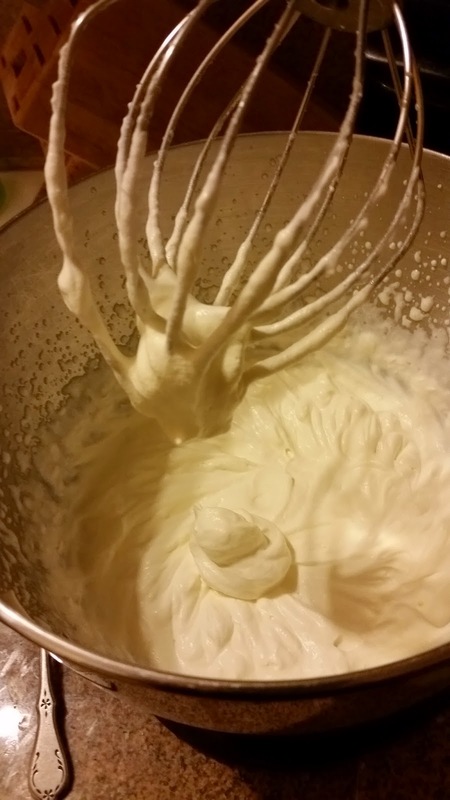 Start beating with a hand mixer or stand mixer balloon whip on medium (or with a whisk if you're really badass) until it's frothy, then turn up to highest speed. When you can see that it's stiffening, start checking to see if it's ready by stopping and pulling out the beater periodically. If the peak where you pull out the beater flops over at the top, it's at the soft peak stage. Keep going until you get to the stiff peak stage like this pic, where the peak sticking up no longer flops over. Be careful not to go past this point, or you'll have butter. Butter is also yummy, but having to run out for more cream when you're this far along is a real bummer. Or hella bad. Whatever the kids are saying these days. 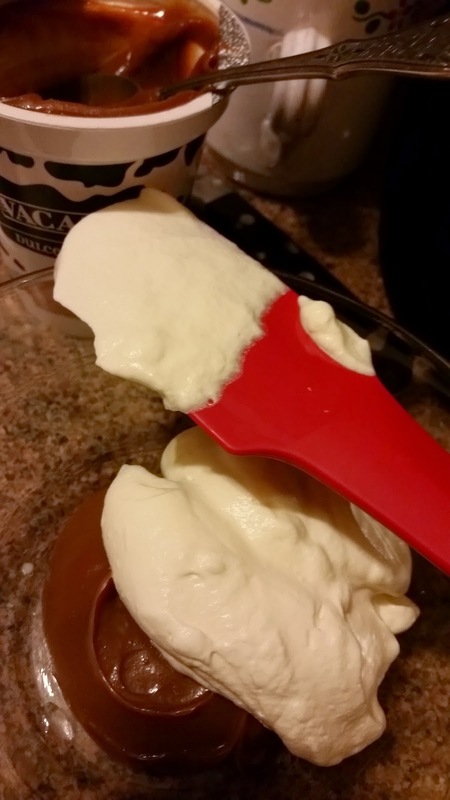 Put 1/2 to 2/3 cup prepared dulce de leche into a small bowl. 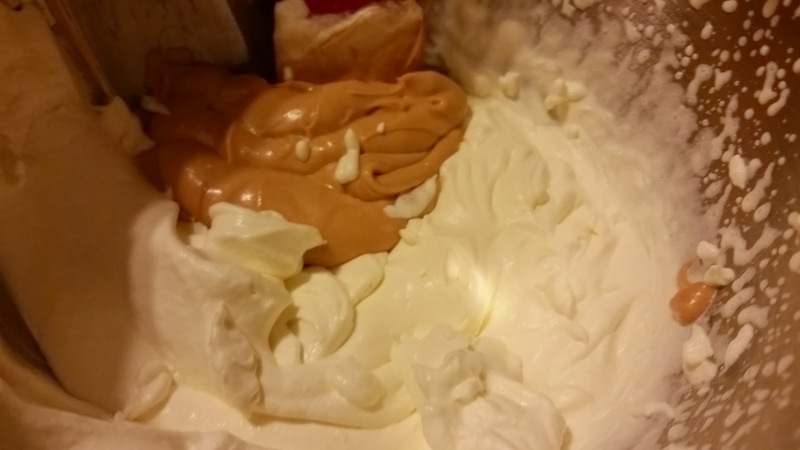 Put about 1/4 of the whipped cream into the bowl with the dulce de leche and gently fold in with a rubber or silicone scraper until it's a consistent color. To "fold", stir while scraping up from the bottom and rotating the bowl 1/4 turn for each stir. Try to resist the temptation to park yourself in front of the TV with the rest of the dulce de leche and a big spoon. It's super yummy on toast for an Argentine style breakfast. A crazy delicious variation is to take OK-NAK crackers and spread them with a little butter and then some dulce de leche. Add the contents of the small bowl back to the big bowl and fold into the rest of the whipped cream. Slice the shortcakes in half lengthwise. Spoon some dulce de leche on the bottom half. Spoon some of the berries and whipped cream over the bottom, then put the top half over the cream. Put more berries and cream on top if you have any left when you've filled all the cakes. I hope you enjoy them! To print 5x7 recipe card: right click image to save to your computer or cloud drive. Print jpg from your computer.